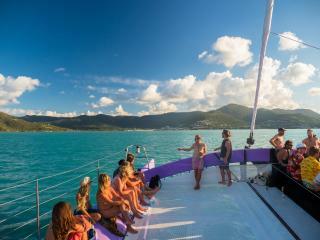 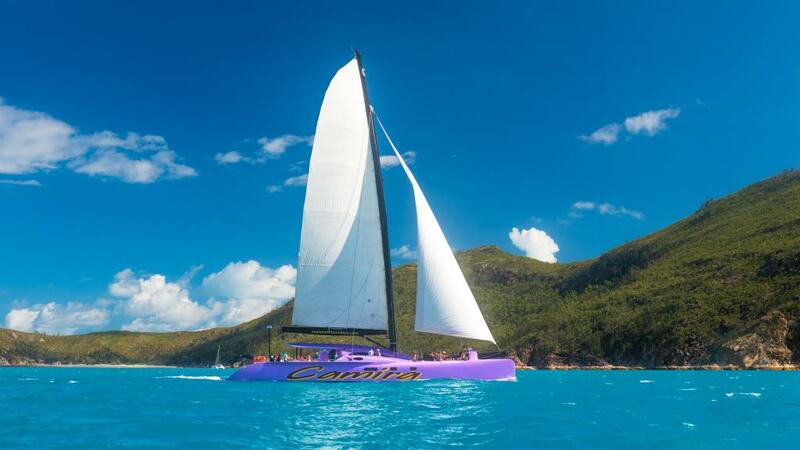 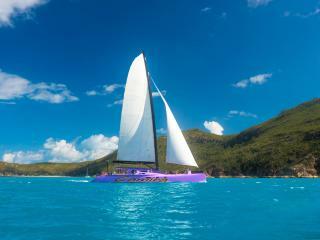 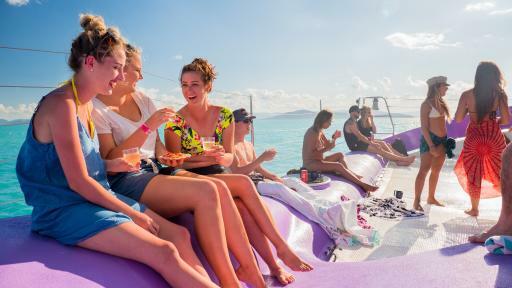 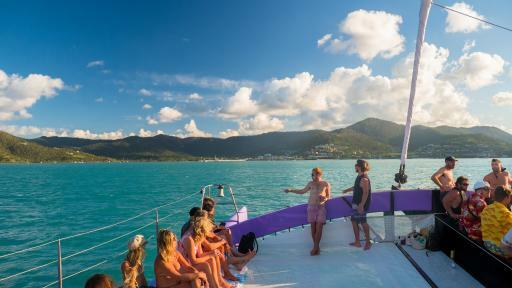 On board the Camira, the fastest catamaran in the world, you'll enjoy 85ft of spacious deck and state-of-the-art design as you sail through the crystal waters of the Whitsundays at speeds up to 30 knots. 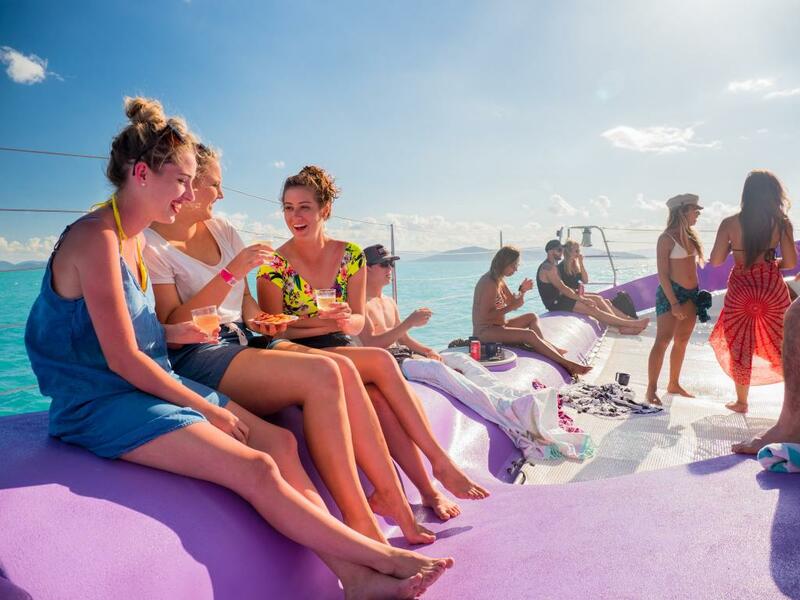 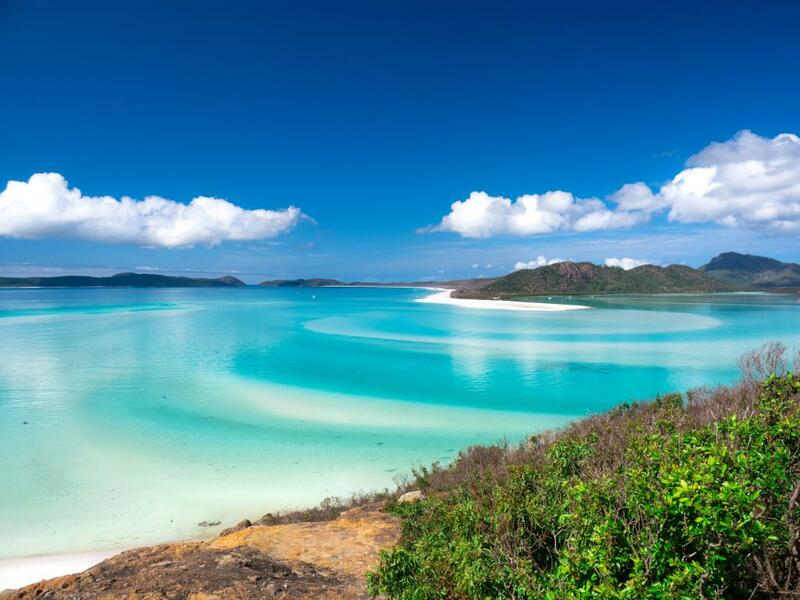 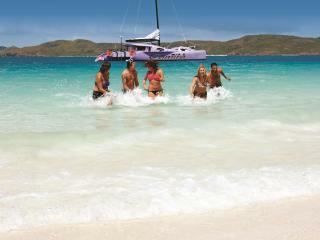 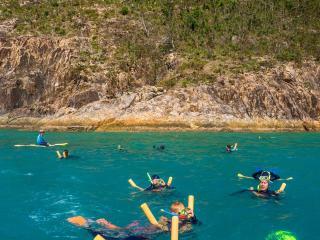 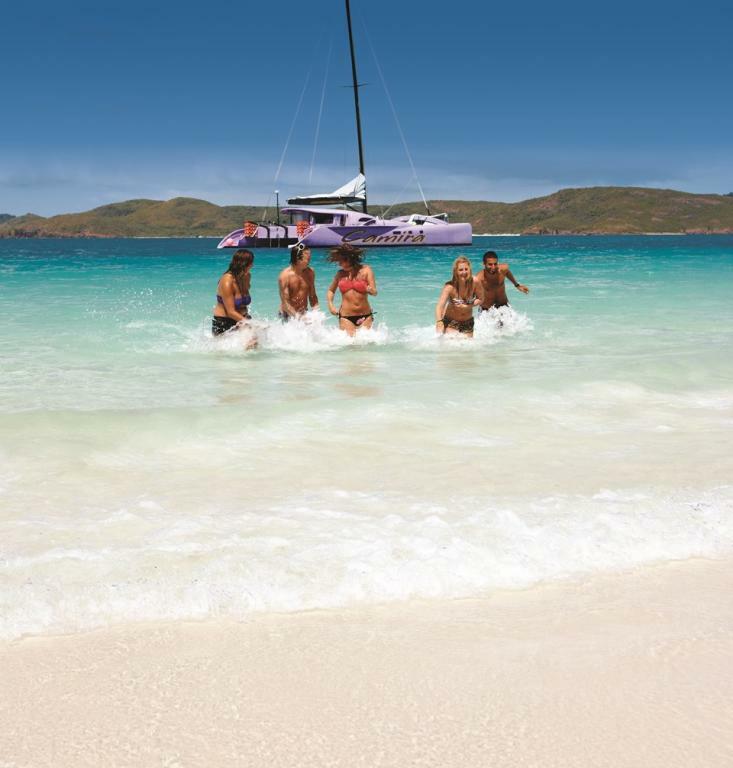 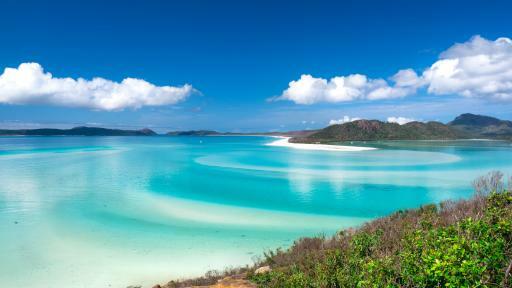 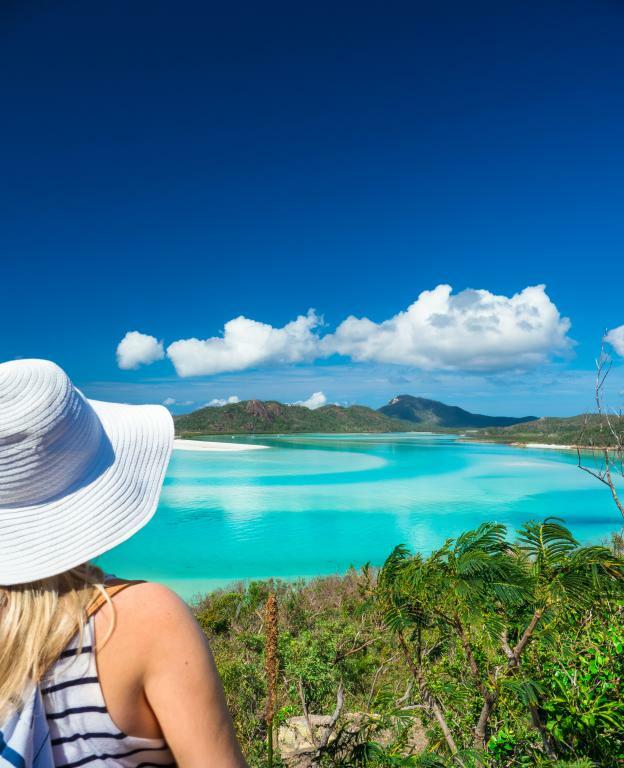 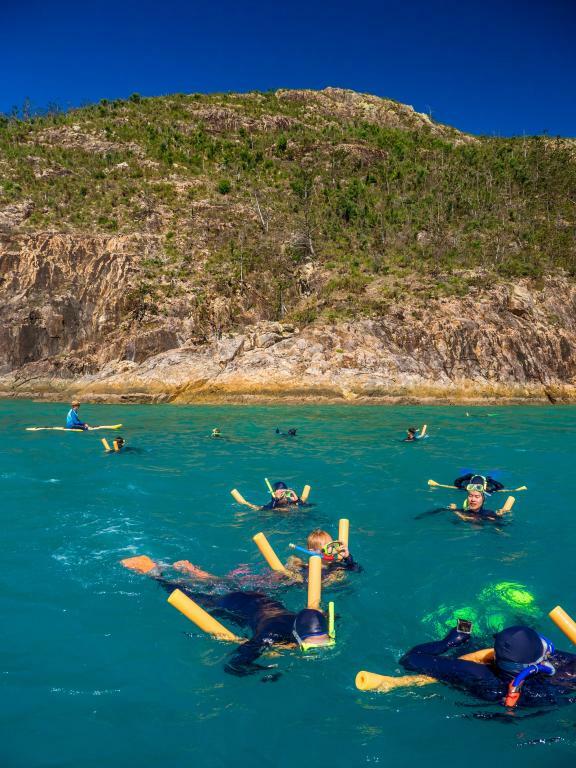 Delivering you to the pristine silica sands of Whitehaven Beach you'll have all day to explore the hidden bays, swim the crystal blue waters, relax on the beach and work on your tan and you'll even have the opportunity to visit Hill Inlet. 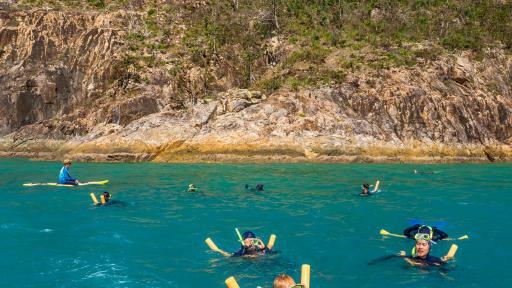 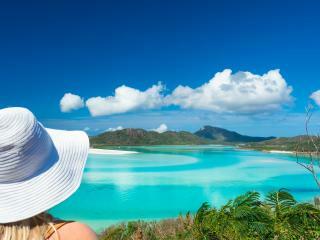 Included in this tour is morning and afternoon tea, BBQ lunch and all refreshments throughout the day.